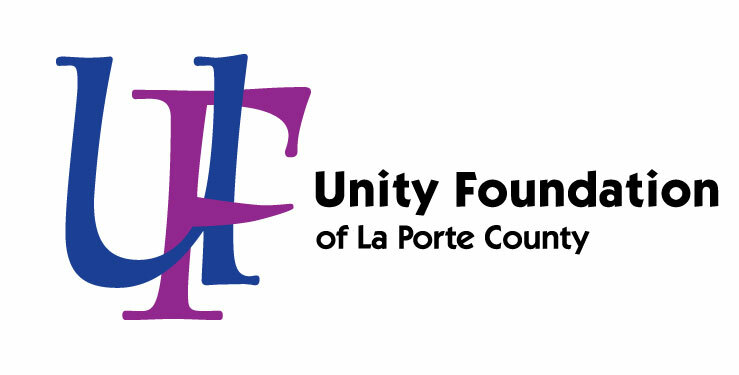 We believe that people of diverse backgrounds and circumstances can join together in accomplishing the mission of Unity Foundation, which is important to the future of La Porte County and Northwest Indiana. To make La Porte County and Northwest Indiana a better place for all, we will continue to respect people whose circumstances or characteristics are different from each other. We shall be a ‘power for good’ in our communities by addressing the areas of education, health and human services, arts and culture, and the environment. We envision La Porte County to be a dynamic county, recognized for its investment in its people, economic vitality, and rich quality of life, and to be a model for innovative leadership and supportive citizenry. Adopt our Vision for La Porte County here! The people of Unity Foundation share a core set of values that guide and inspire our work now and for the future. Leadership and Vision: We strive to continually sharpen our vision of a better life for all in our community and to provide the leadership to make it happen. Integrity and Responsibility: We are dedicated to building and holding the trust of the community through independent governance, objectivity, and honesty. Permanence: We are committed to building a permanent endowment so we may address today’s needs, while confident our successors can also address the needs of future generations. Education: We strive to educate our community on the value and methods of giving to create a culture of philanthropy to sustain a vibrant, healthy, caring community. Inclusiveness and Accessibility: We seek diverse perspectives when identifying community needs and finding ways to address them. Collaboration and Partnering: We believe the greatest possible good from our efforts will arise from closely cooperating with everyone committed to the improvement of our community. Unity Foundation of La Porte County meets National Standards for operational quality, donor service and accountability in the community foundation sector. The National Standards Seal by our name indicates official confirmation from the Council on Foundations that we have met the most rigorous standards in philanthropy. It affirms our commitment to financial security, transparency and accountability. It says our grant-making includes an open, competitive process designed to address the changing needs of our community.The National Standards Seal also confirms our history of honoring donors’ wishes—to support the arts, cultivate gardens, save endangered species, cure illness, expand literacy, feed children—and support countless other important causes. The National Standards for U.S. Community Foundations Program was established in 2000 in cooperation with the Council on Foundations. National Standards guide community foundations in establishing legal, ethical and effective operational practices that serve as blueprints for internal development and benchmarks for external assessment. The 43 National Standards require the Unity Foundation to document its policies in donor services, investment management, grant-making and administration. To receive confirmation of National Standards compliance, the Unity Foundation submitted its organizational and financial policies and procedures to a rigorous peer review.